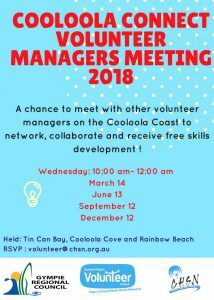 Cooloola Connect Volunteer Managers Meeting is a quarterly meeting brought together by Gympie Region Volunteer Centre, a project of Cooloola Human Services network, and the Gympie Regional Council. Carley O’Donnell from the Gympie Region Volunteer Centre said, “These meetings aim to provide a quality networking and skills development opportunity for volunteer managers, coordinators and organisations within the Gympie and Cooloola Coast region, with the main objective being volunteer management. “The March meeting will provide you with a grant writing workshop conducted by Jules Delgado, Manager of Gympie Meals on Wheels and grants writer extraordinaire. Gympie Region Volunteer Centre invites all volunteer-based organisations to come along to our meetings to help grow and improve volunteerism in the Cooloola Coast region. 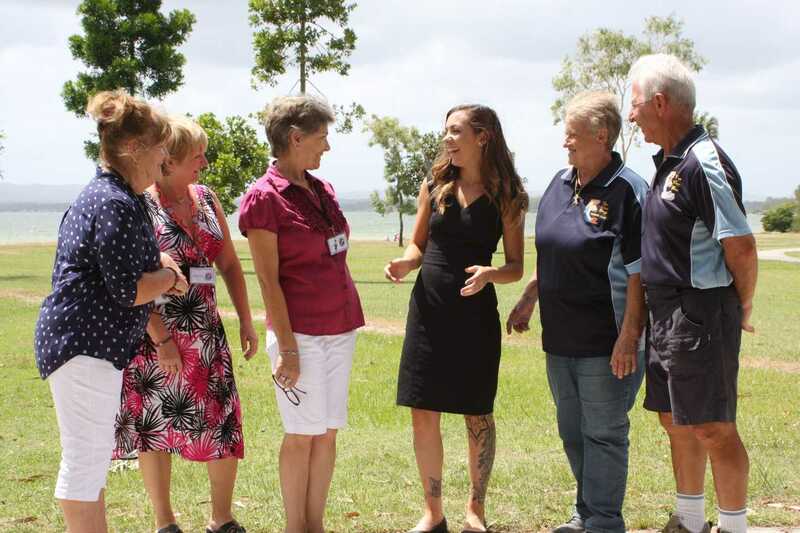 “Our first meeting will be held in the Tin Can Bay RSL club, 45 Gympie Road, Tin Can Bay, Wednesday March 14 10am -12noon.“ Light refreshments supplied. Future dates include June 13, September 12 and December 12 across towns on the Cooloola Coast. 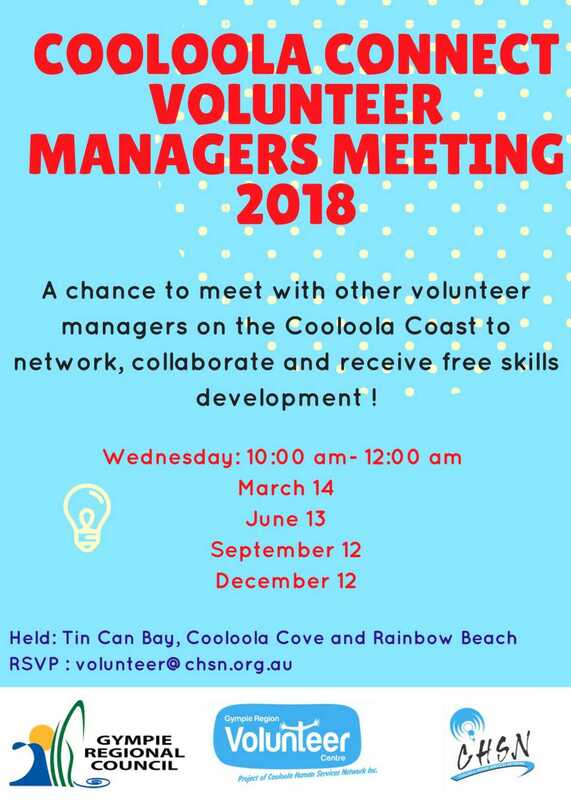 Please ensure that you RSVP to this meeting for catering purposes and please share this with your networks and invite fellow Cooloola Coast Organisations to come along. Registration is essential, please contact Carley at volunteer@chsn.org.au or call 0408 992 822.